What are laser treatments for moles, birthmarks, and tattoo? Not all birthmarks are formed at birth. Some develop birthmarks when they are born, and others develop them only after birth. 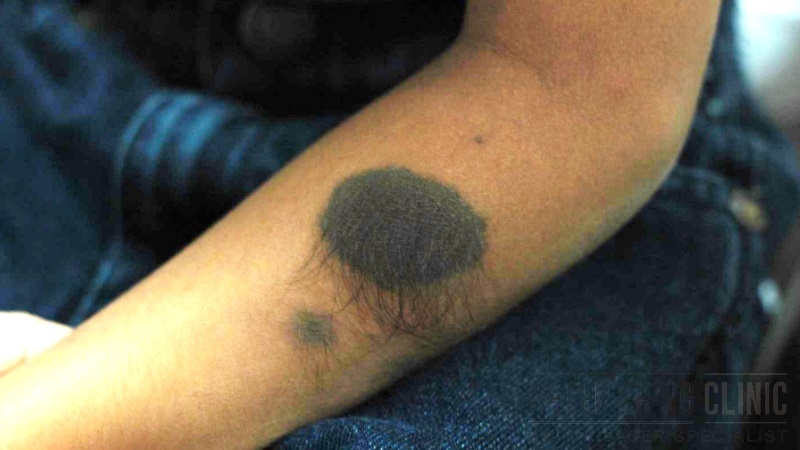 Birthmark growths also vary - some get smaller with time, while some grow proportionately to the person's physical growth. There are 2 main types of birthmarks with their respective sub-types: pigmented birthmarks and vascular birthmarks. They can be removed using pigment lasers or vascular lasers. Pigmented birthmarks are formed by pigment cells on a specific part of the skin. Some common types of pigmented birthmarks are lentigines, cafe au lait, and nevus. These can be treated with pigment lasers. Unlike pigmented birthmarks, vascular birthmarks are not caused by pigment cells. Vascular means the heart and blood vessel system in our body, so vascular birthmarks are caused by blood vessels clumping together, forming a visible mark on the surface of our skin. Some common types of vascular birthmarks are infantile haemangioma and port wine stain. These can be treated with vascular lasers. Some birthmarks come in the shape of moles, but not all moles are birthmarks. Moles are small, round brown or black spots (usually not bigger than the size of a pencil eraser). There are many different types of moles: some are flat, some are raised; some moles disappear as we grow, and some also appear along as we age. However, if you notice your mole(s) changing in shape or colour, or if it itches or bleeds abnormally, you should check with our dermatologist or aesthetic doctor, Dr Peter and Dr Loo, and have a biopsy immediately to spot any possibilities of skin cancer. For tattoos, it is for starters important to NOT use any DIY methods in removing tattoo. This is because the tattoo ink is tattooed into the middle layer of our skin. Therefore any DIY method to remove the tattoo will require us to enter into this level in our skin, and any meddling in the middle layer of our skin will cause scarring. If we use chemical peeling like acid to peel the middle layer of the skin, we may be able to remove the tattoo, but end up with bad scarring. The same goes to any other methods like using fire to burn off the tattooed skin surface - the tattoo may disappear but we'd be left with severe damage and scarring on our skin. 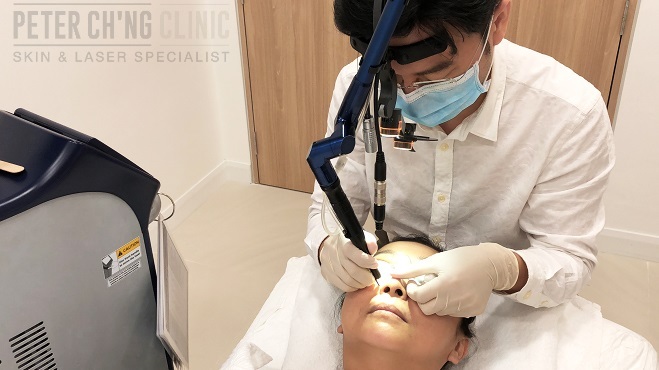 The most important step in conducting a laser treatment is actually not the treatment itself, but in determining the type of mole, birthmark, or tattoo that you have. If you notice your mole(s) changing in shape or colour, or if it itches or bleeds abnormally, you should check with our dermatologist or aesthetic doctor, Dr Peter and Dr Loo, and have a biopsy immediately to spot any possibilities of skin cancer. We need to use different wavelength of lasers for different colour of tattoos. Otherwise, there may be complications. One common misconduct in laser tattoo removal is using the wrong laser wavelength for the wrong coloured tattoo. As a result, there would be either no effect of tattoo removal, or complications like blisters and scarring can happen. To enquire more about Laser Treatments for Moles, Birthmarks & Tattoo, contact us or book an appointment here! Stretch marks can appear anywhere where the skin has been stretched, but they usually affect areas where fat is stored, such as the tummy, breasts, upper arms, buttocks, thighs and shoulders. Honestly, it is actually impossible for our skin to return to its original condition once we develop stretch marks, but we can improve the condition via laser treatments.